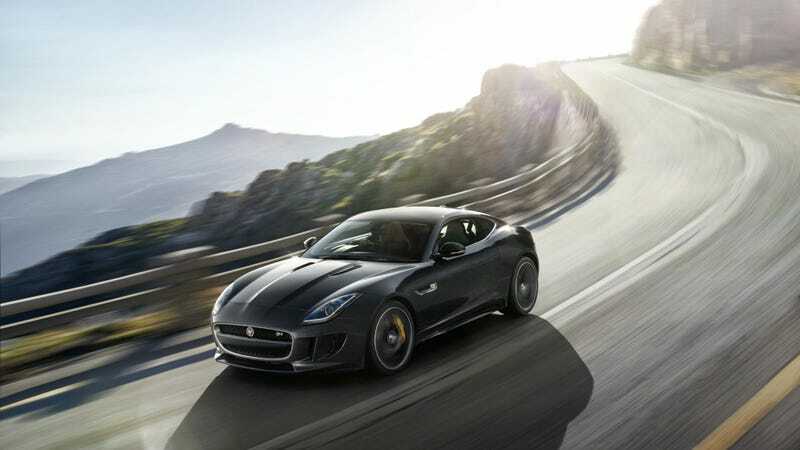 The Jaguar F-Type R Coupe is one of the most beautiful coupes on sale. That is my opinion. But because it is my opinion, it is also Fact. Those are the rules, that I just made up. And goddamn does it look good. We don't often feature wallpapers put out by the manufacturers here on the Weekend Wallpaper, but there haven't been many submissions this week and we're still working out some rights issues on the other ones we were sent. And because I like the F-Type R Coupe, and because I am your Weekend Overlord, that means I get to choose the wallpaper. And I choose this one. I haven't actually driven an F-Type Coupe yet, but when day I will, and that will be a glorious day (for both me and you). Yes, I'm basically saying "let them eat cake," but such delicious, delicious cake it is. 550 horses worth of cake, to be precise. Photo credit Jaguar Cars. For a great big desktop version, click here.